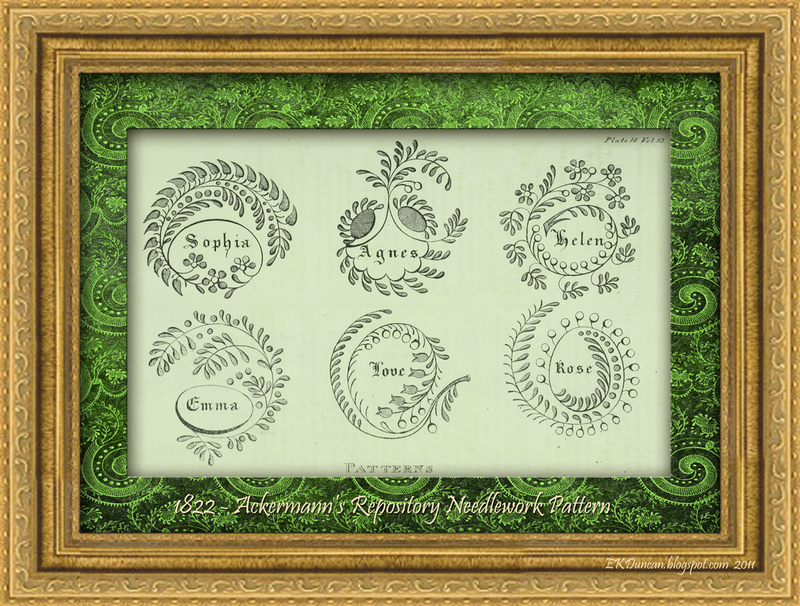 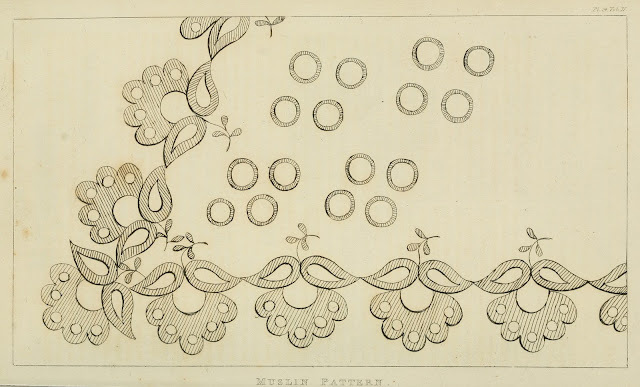 Being a fan of the Regency era and most especially of Regency Romances, I've seen examples and read about ladies passing time with embroidery hoop, thread and needle. 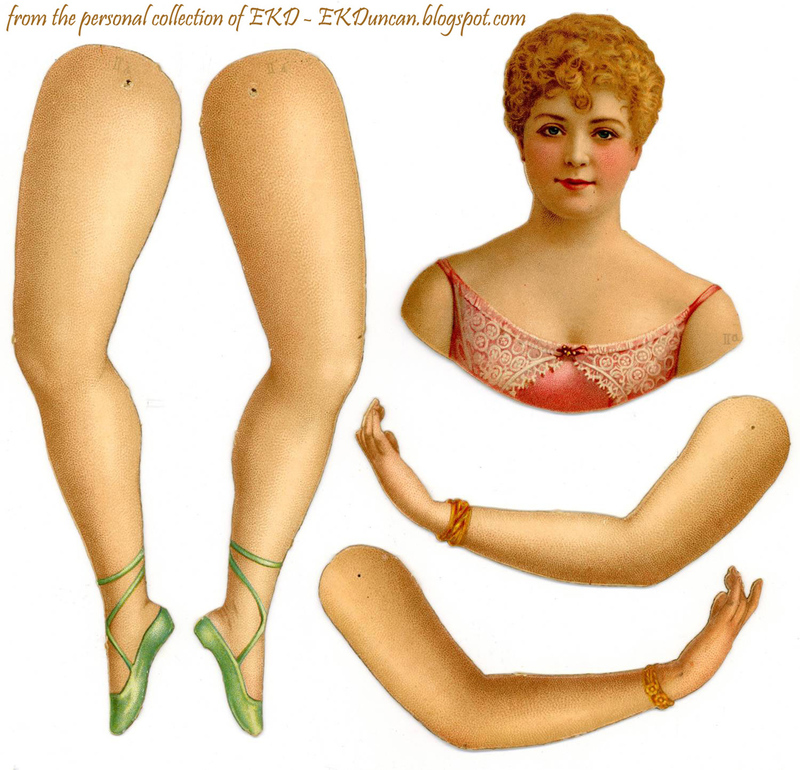 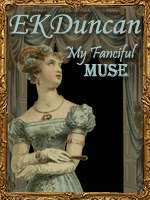 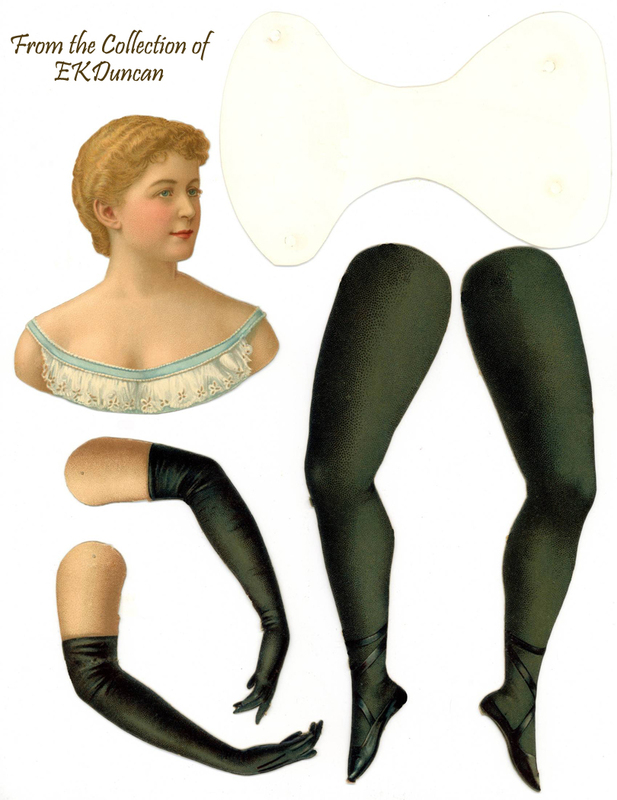 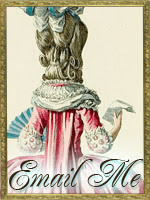 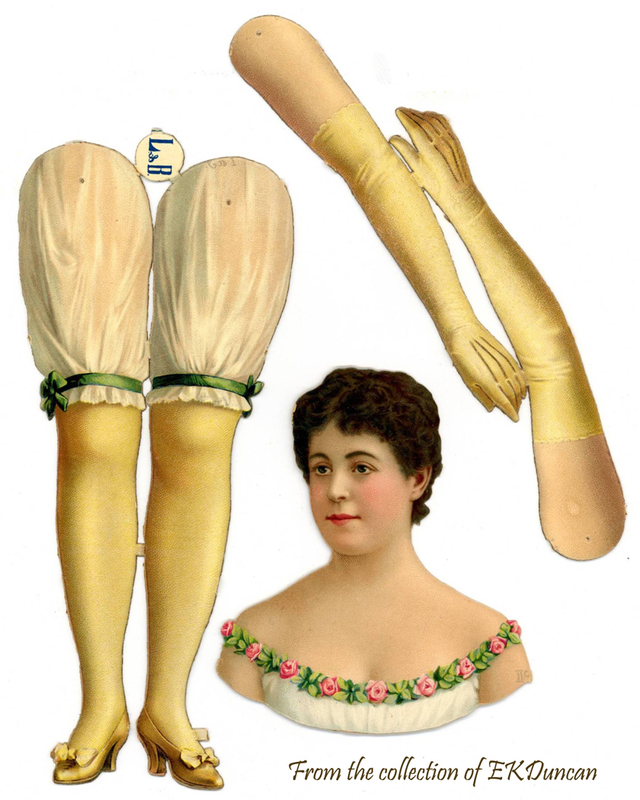 Genteel ladies of the Regency did not just sit around and do nothing. Most of the time they were active and engaged in some pursuit, even if if was to read a book or work on a piece of needlework. 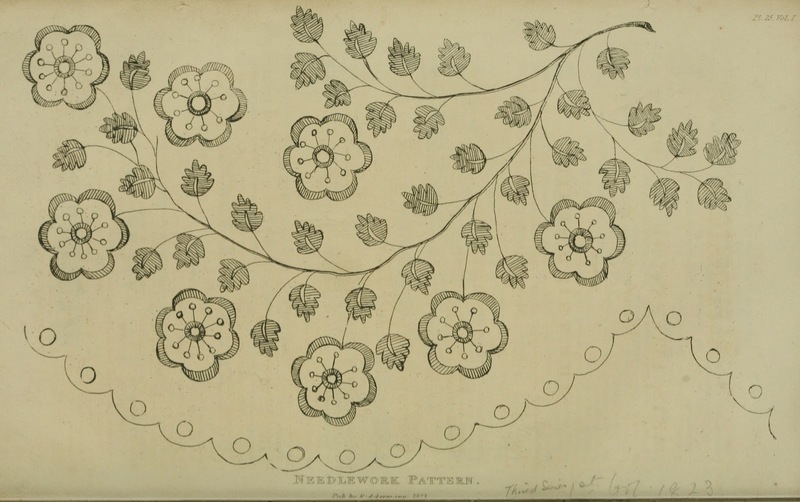 It was thought to be a grand accomplishment if said lady could produce beautiful stitch work; so many a girl from a young age would be taught a variety of stitches and encouraged to practice this craft. 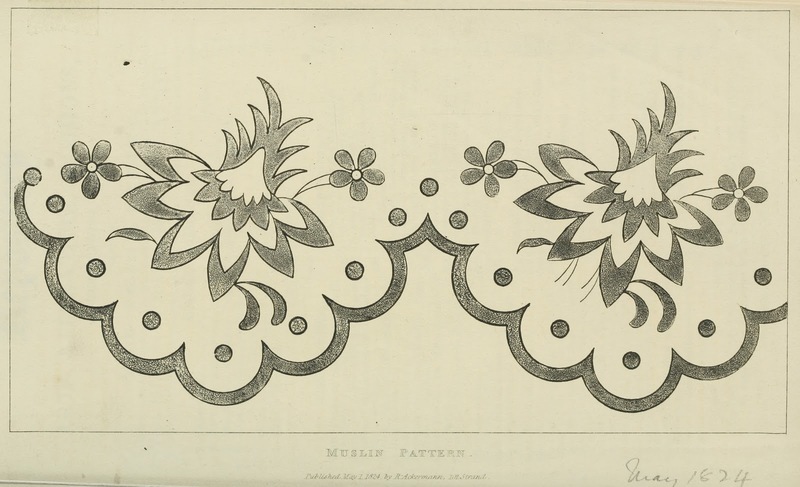 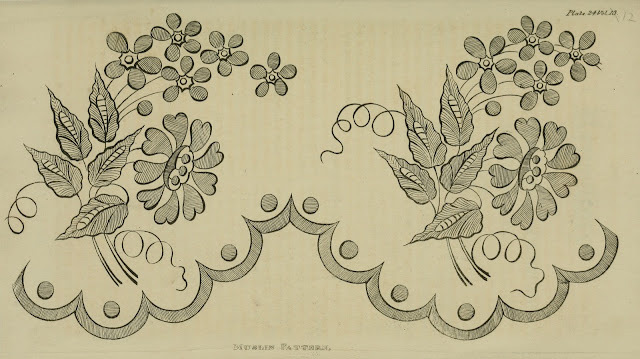 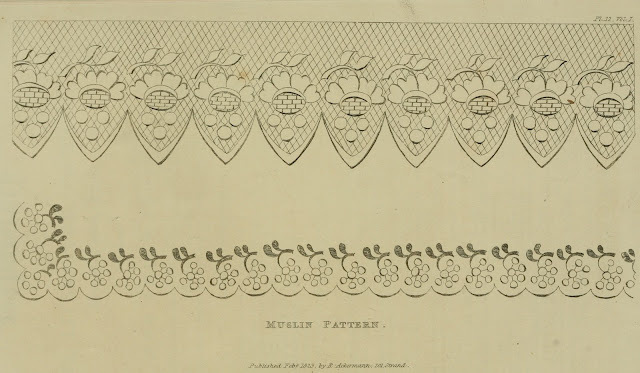 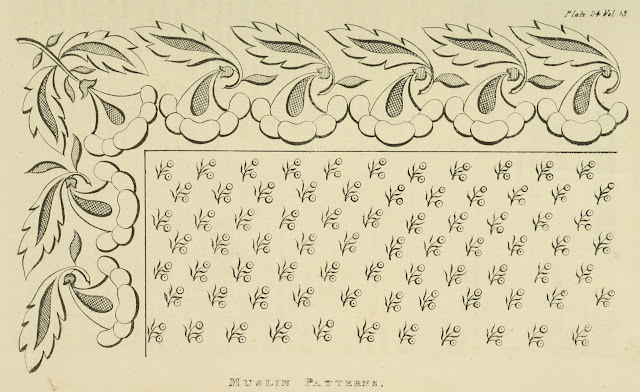 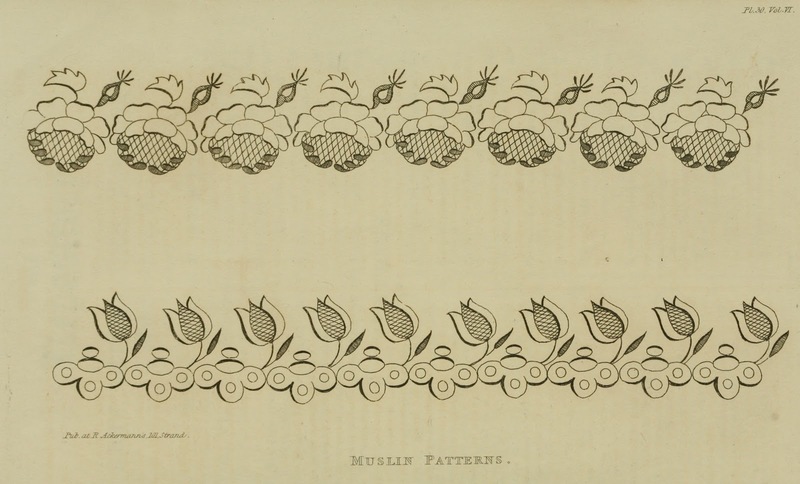 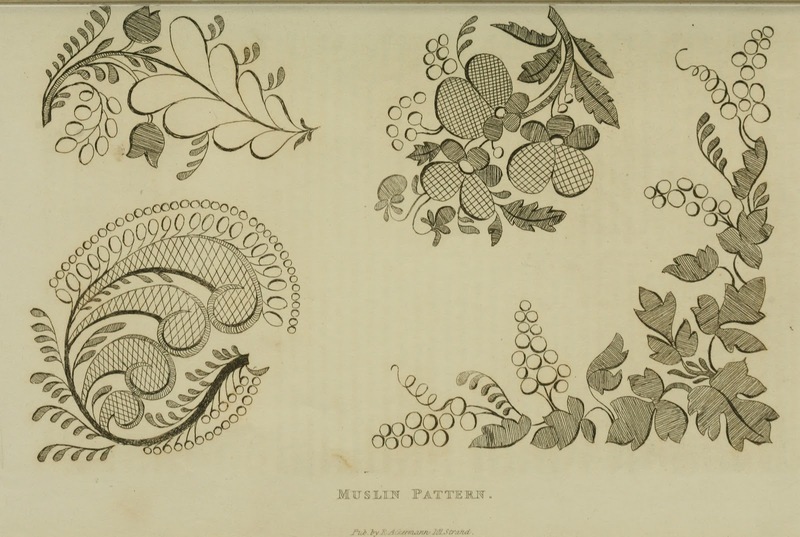 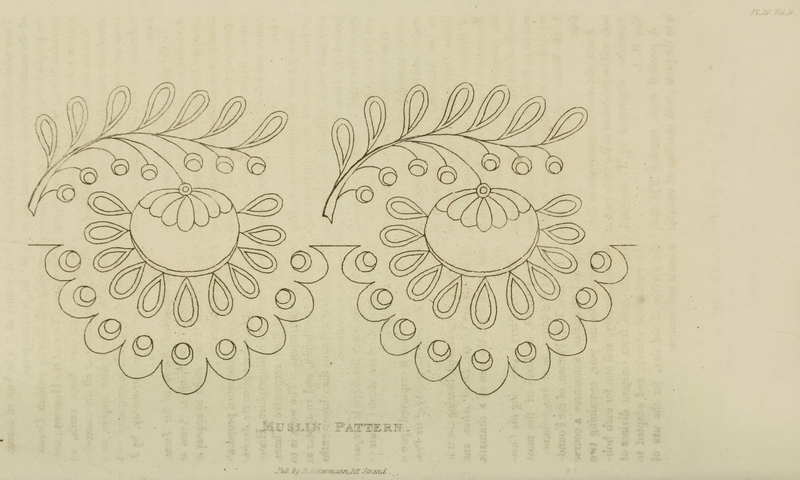 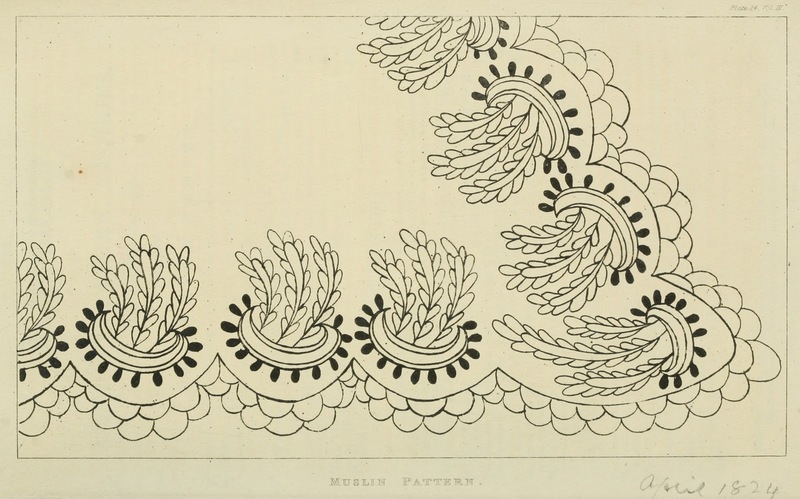 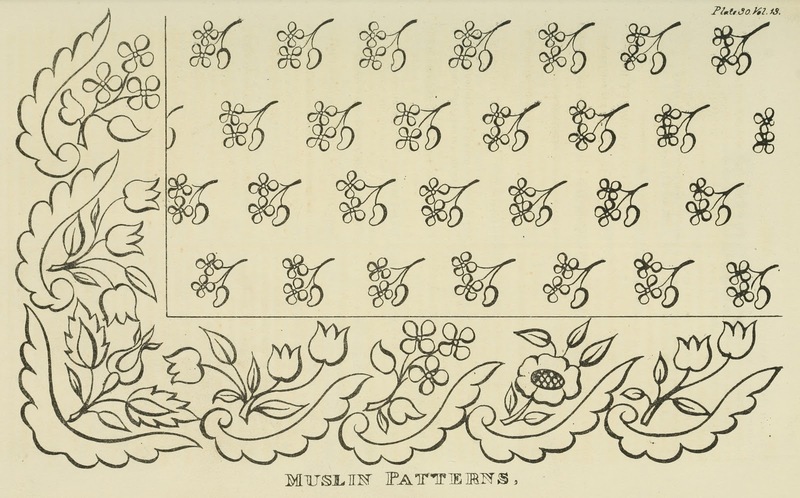 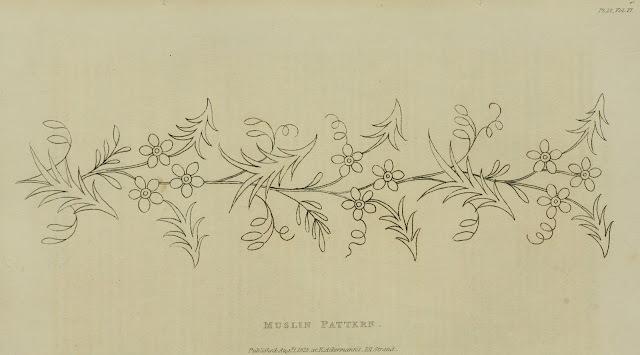 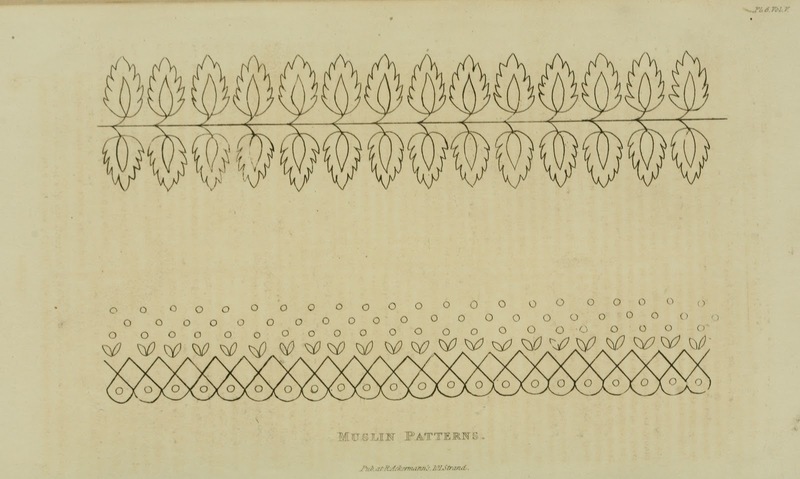 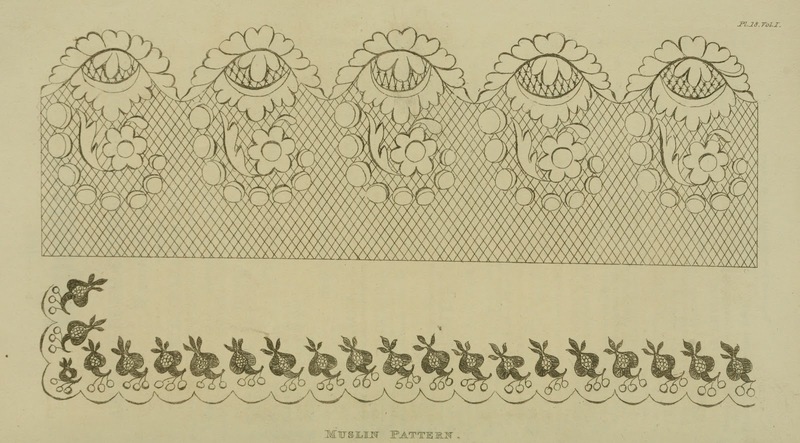 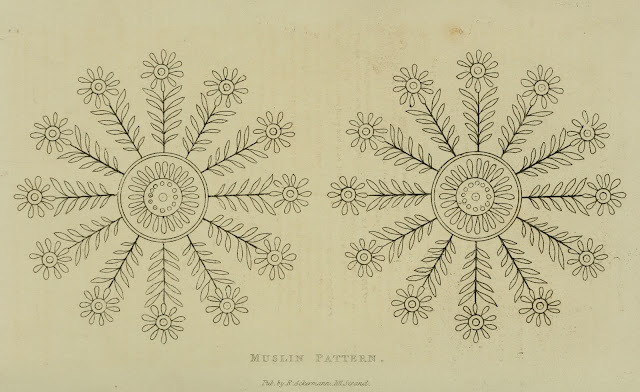 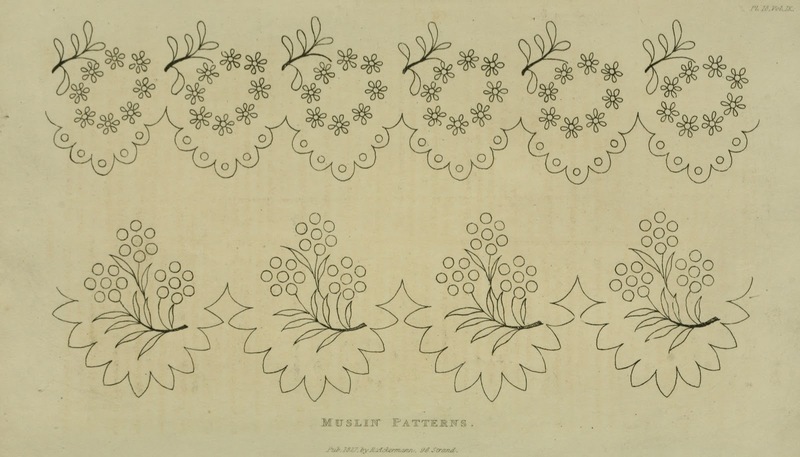 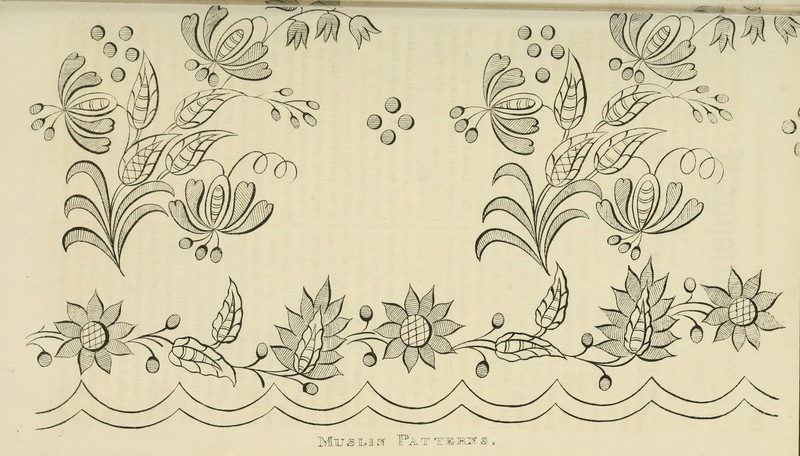 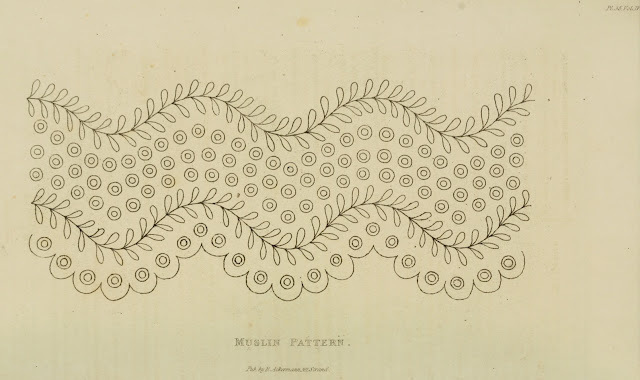 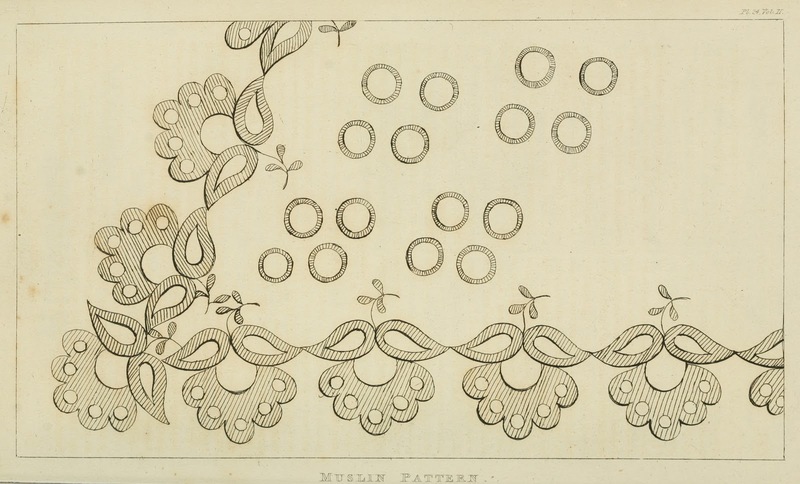 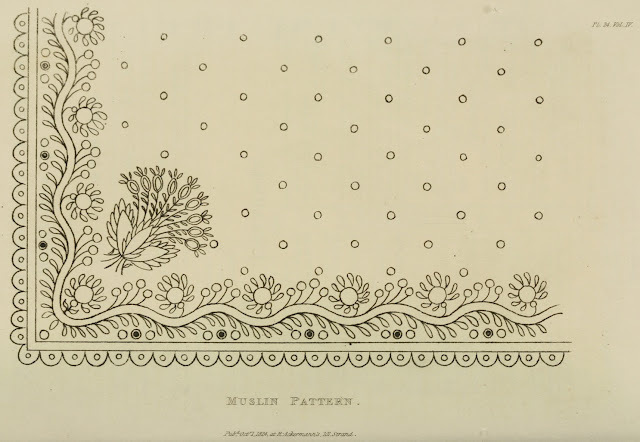 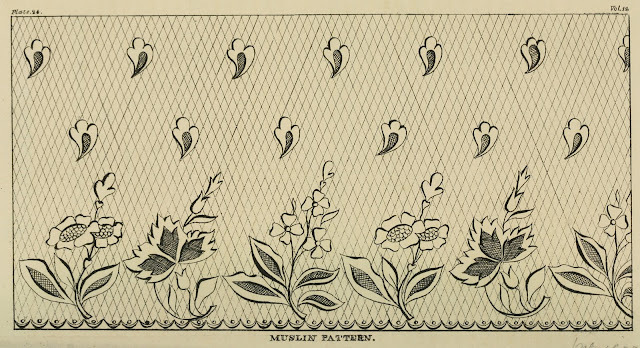 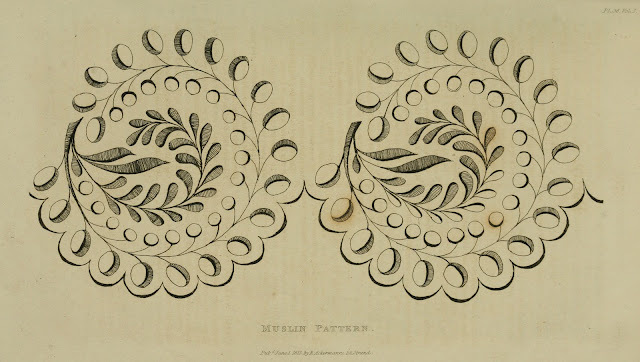 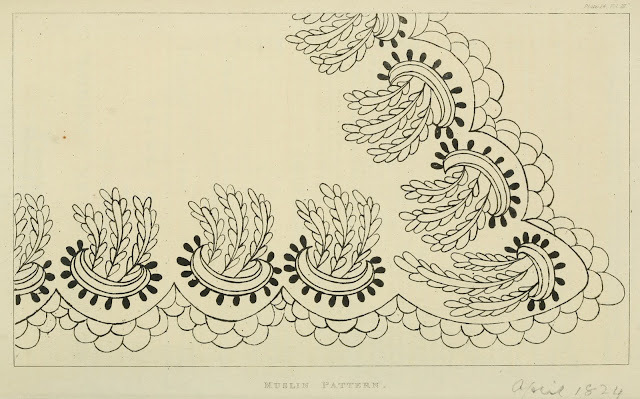 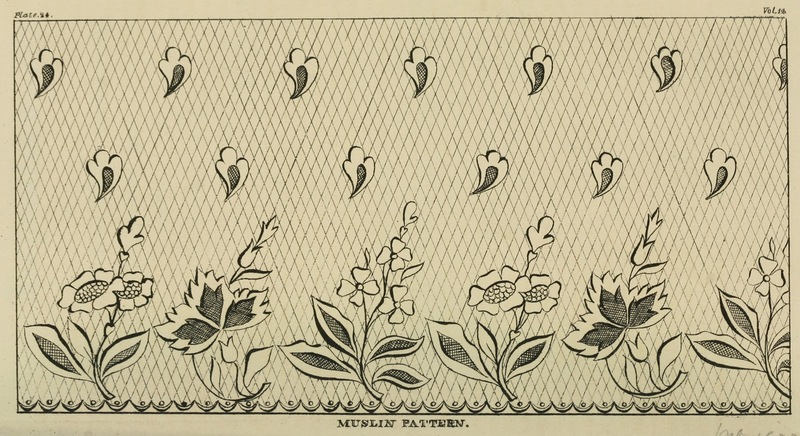 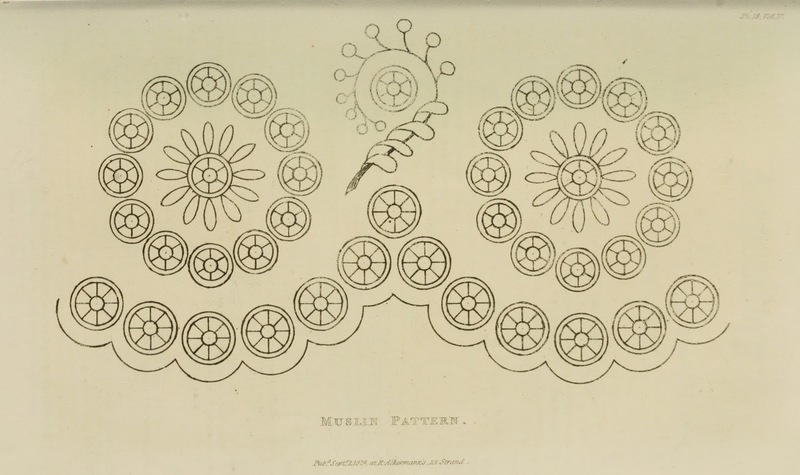 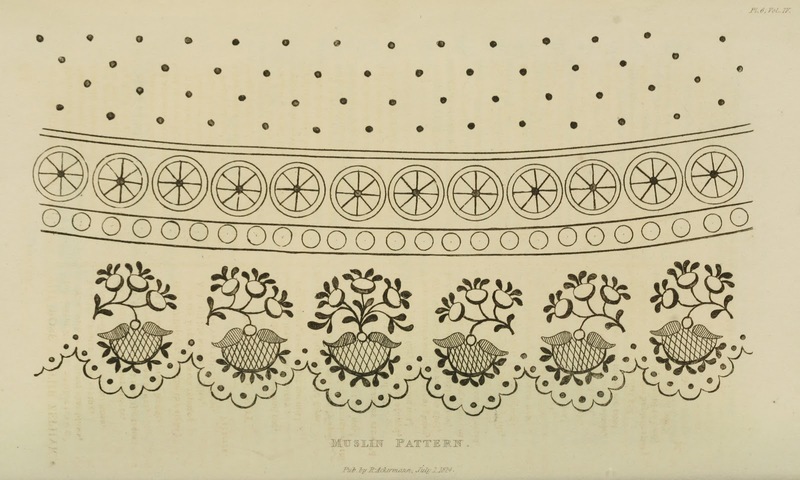 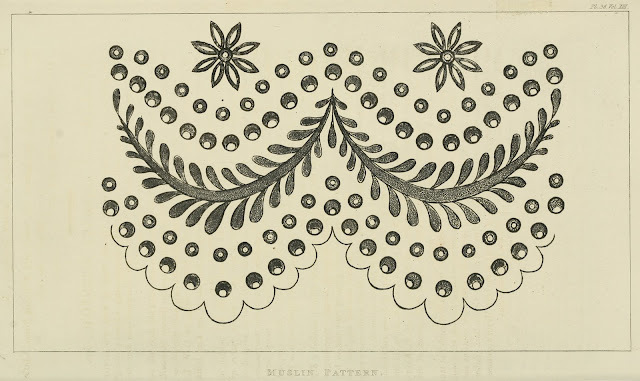 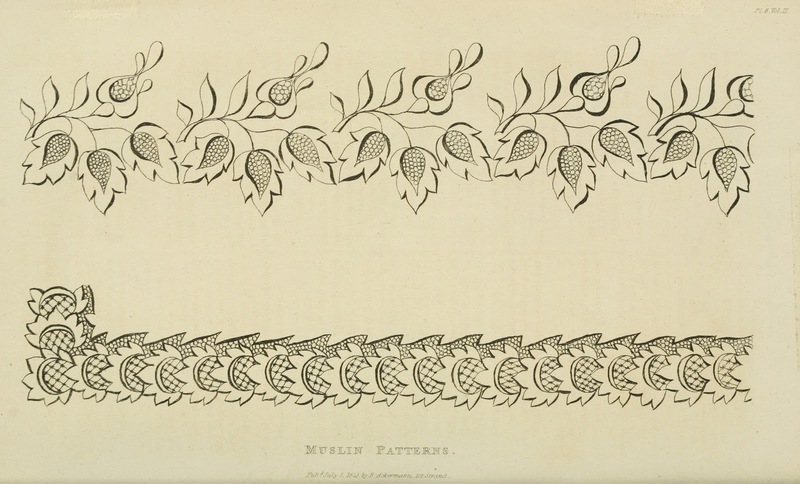 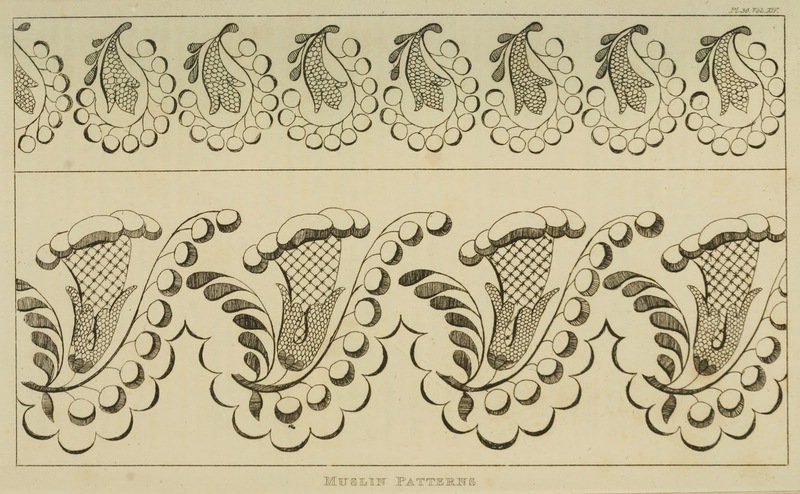 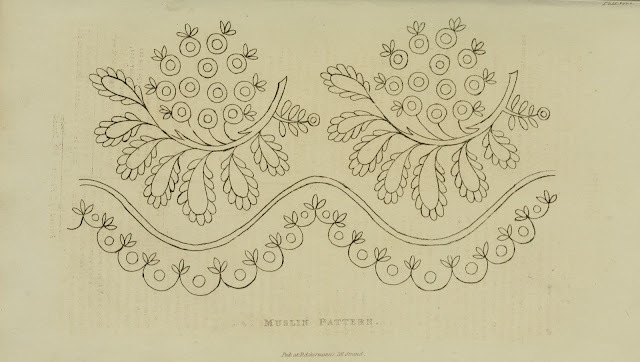 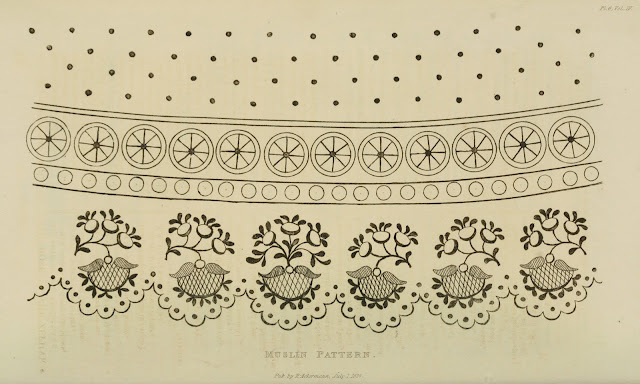 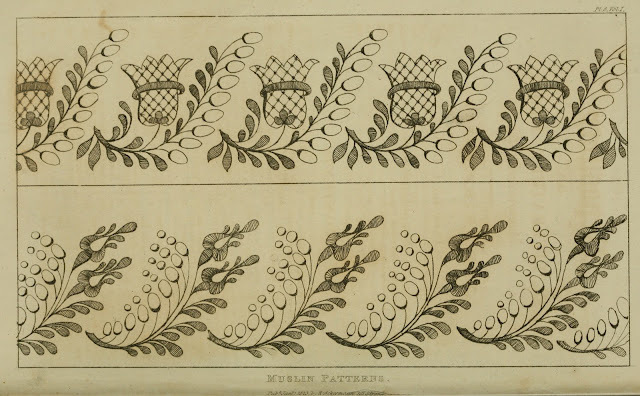 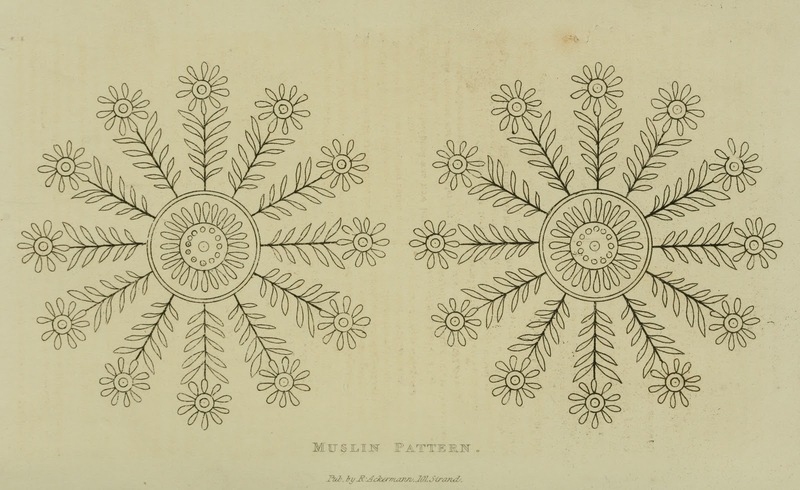 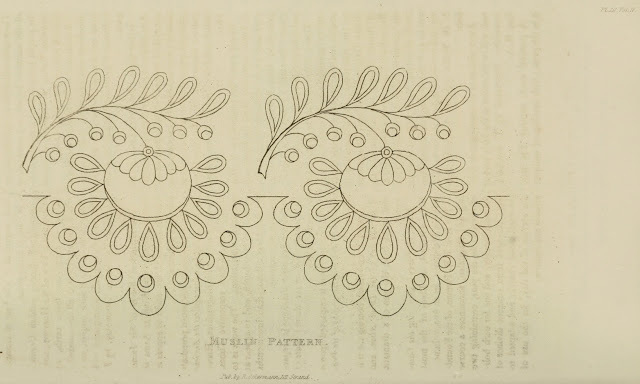 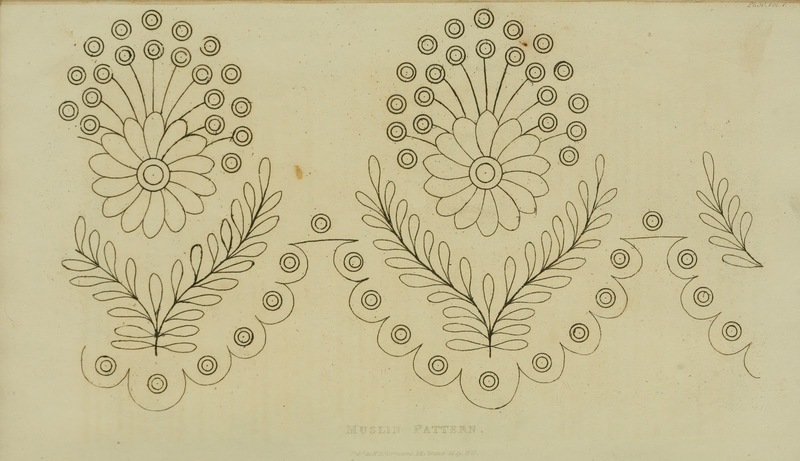 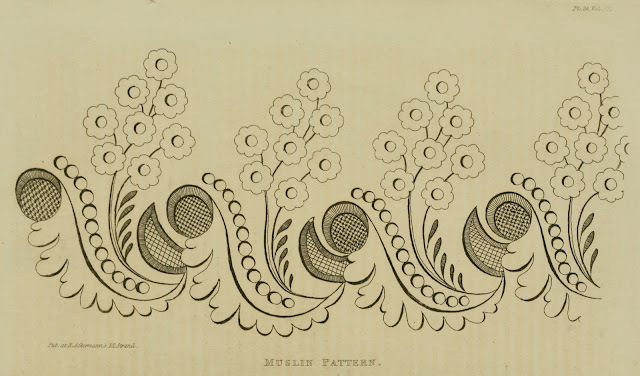 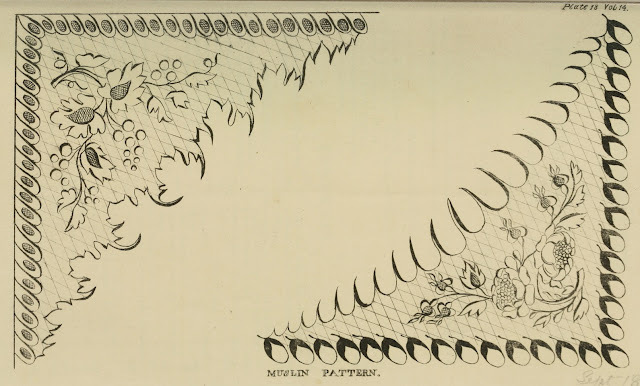 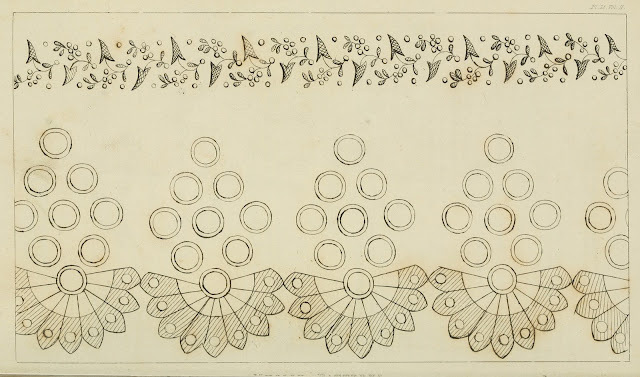 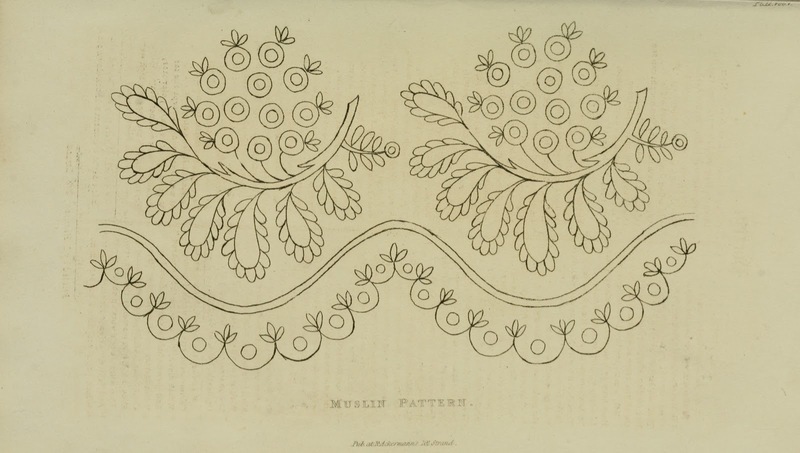 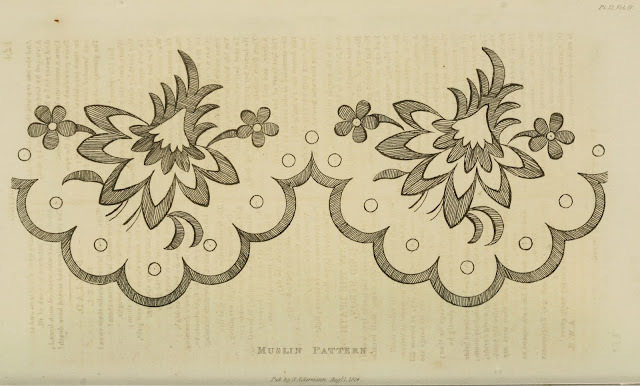 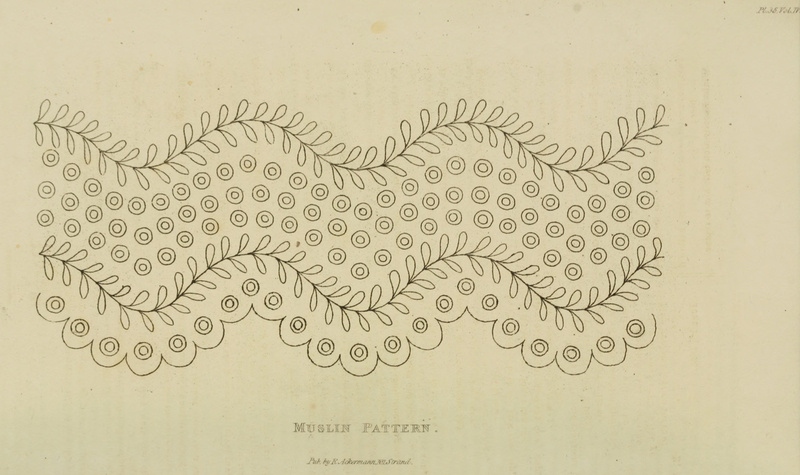 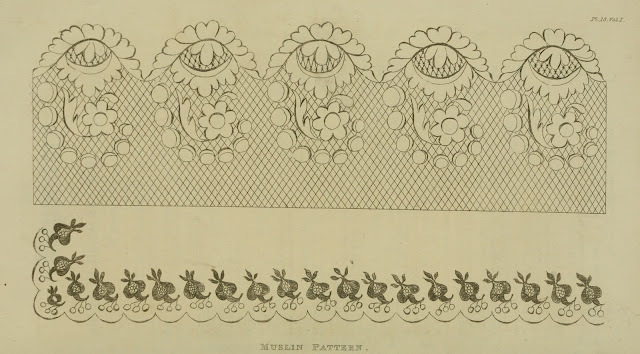 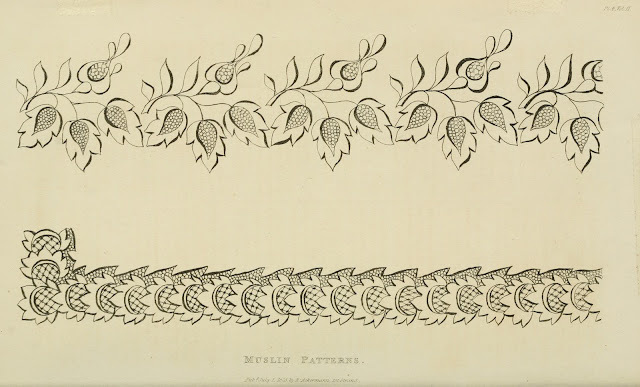 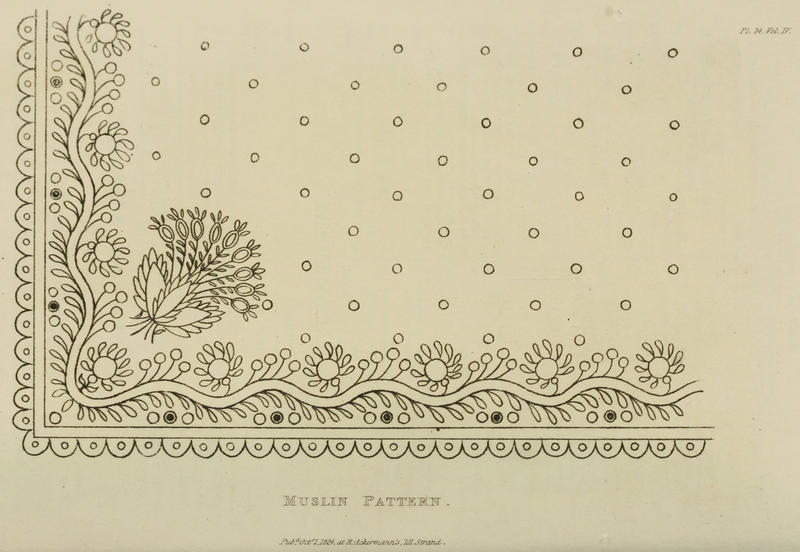 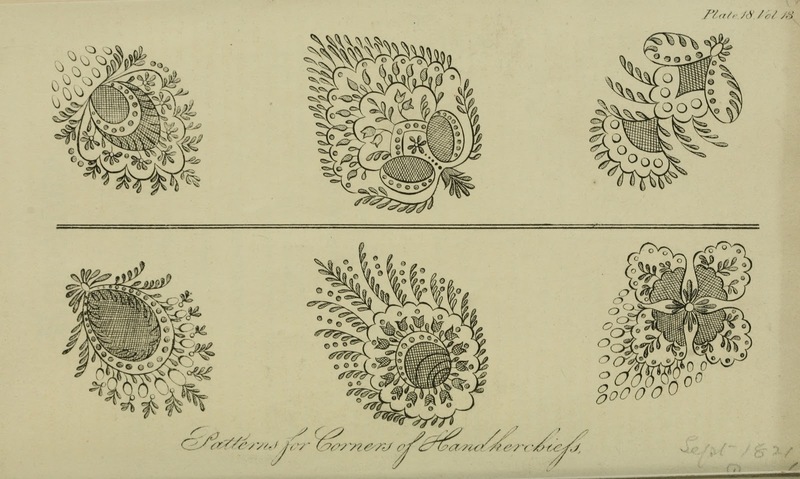 It was not unusual for ladies to create their own patterns; however printed patterns were also available and Ackermann's Repository published over 160 needlework patterns in their magazines between the dates of 1811 and 1828. 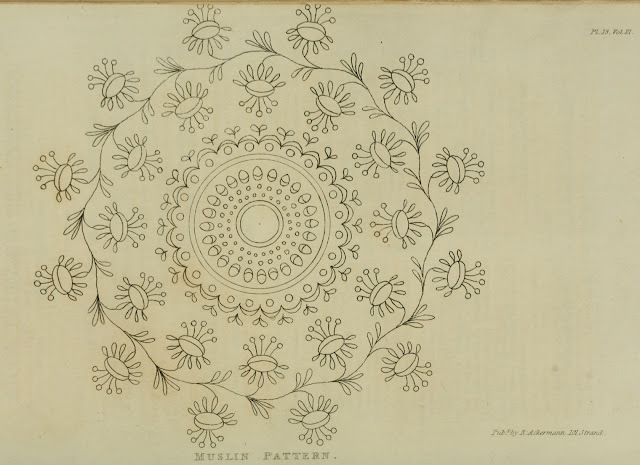 I've previously posted the patterns from 1811 to 1820 and am continuing the series now with the patterns from 1821 to 1825. 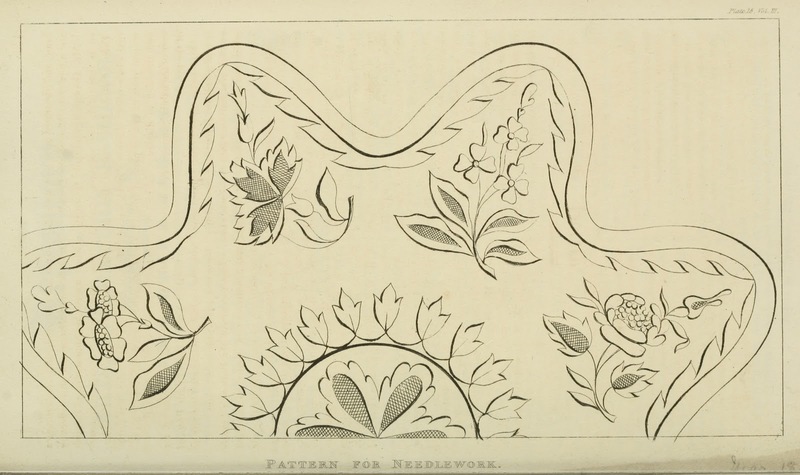 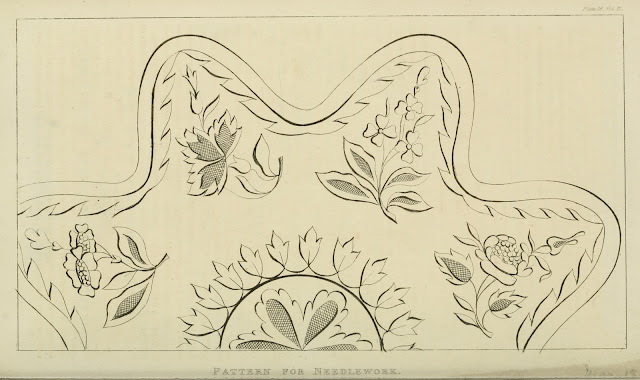 Please note that needlework patterns were published in a majority of the issues but not in every issue. 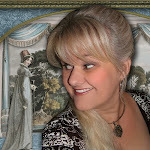 I hope they inspire you to create some crafting projects of your own. 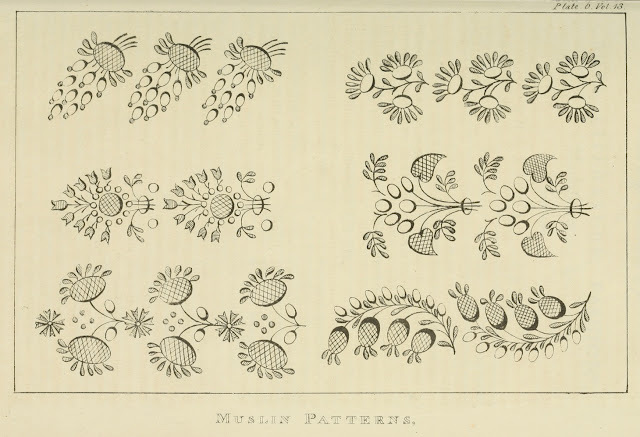 Oh so many pretty patterns. I have been enjoying playing with some of these patterns digitally to create pattern paper backgrounds with them. I'm sure the ladies of the Regency did something similar by taking a portion of a pattern here and a portion of a pattern there, splicing them together and creating a new version to make it there very own special pattern. 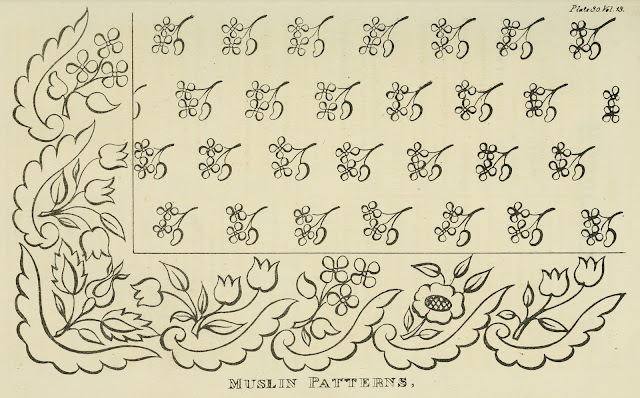 That's one of the great thing about images such as these; you can use the whole, a part of an image, do some mixing and matching and come up with your own personalized pattern. 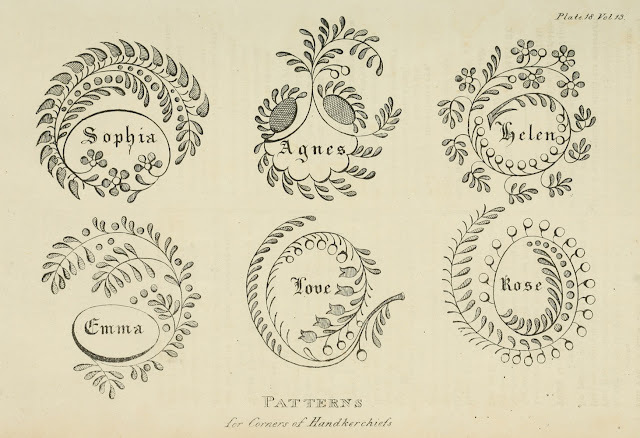 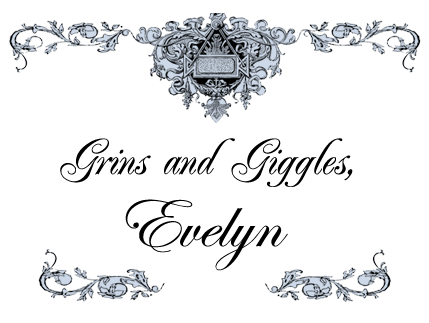 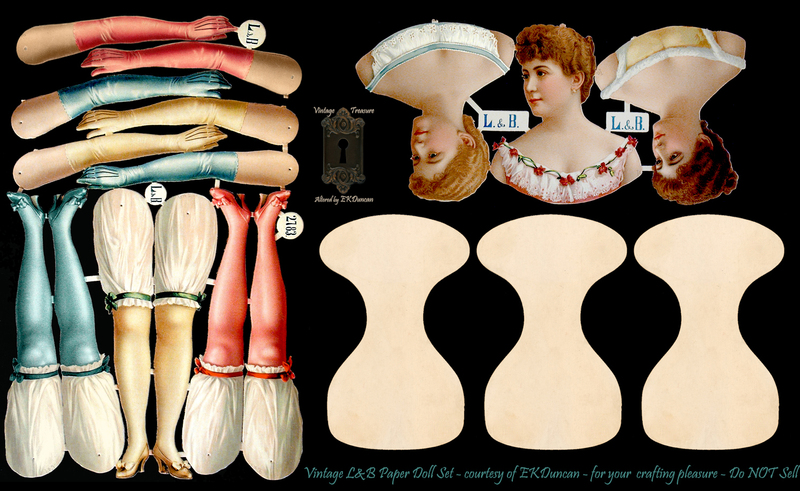 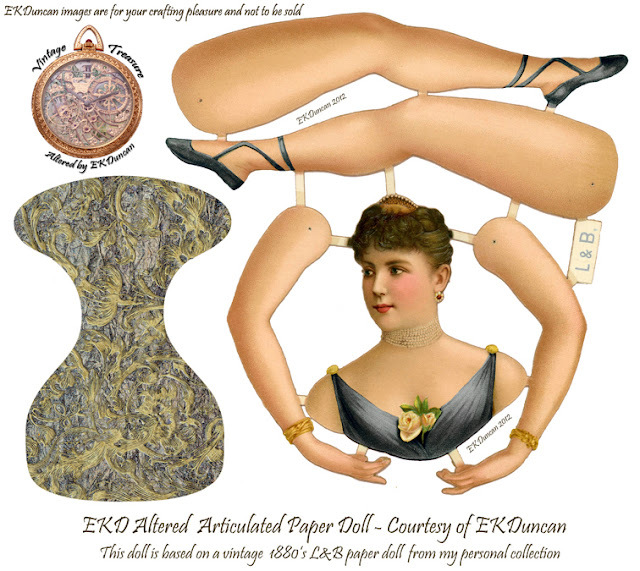 I choose to do this digitally but these can be used as they were intended for embroidery, or painting, woodwork, decoupage or other crafting forms. 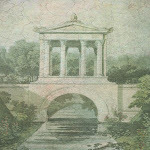 I hope you have discovered a few patterns here you can revive by giving it your own twist and using them so that these great Regency patterns have a new life in the modern age. 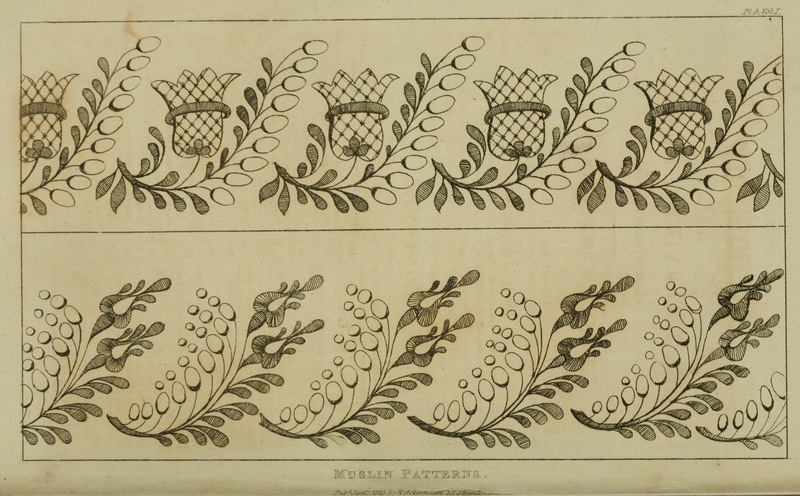 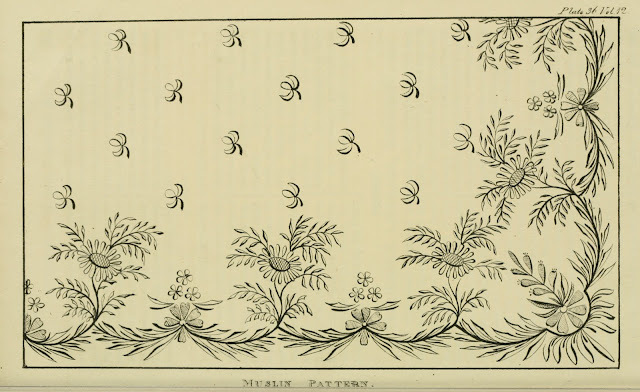 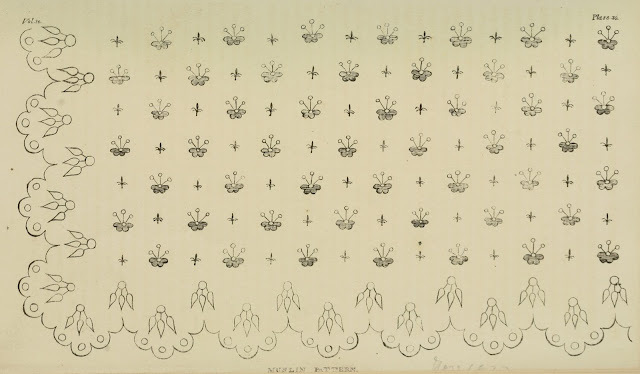 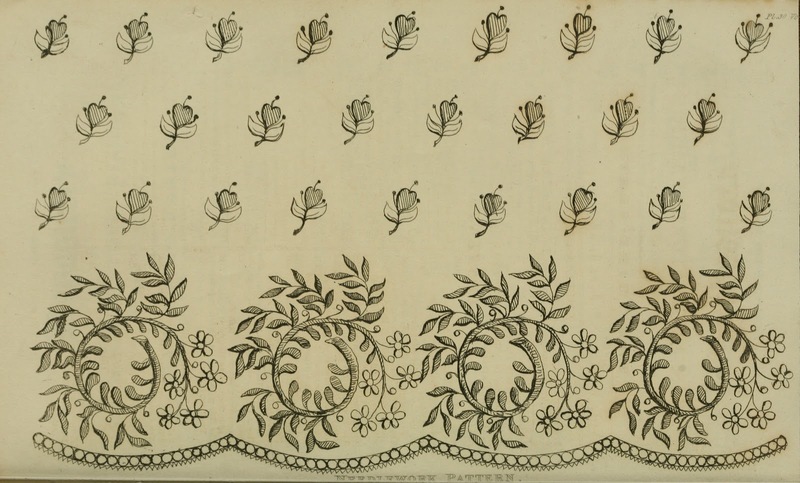 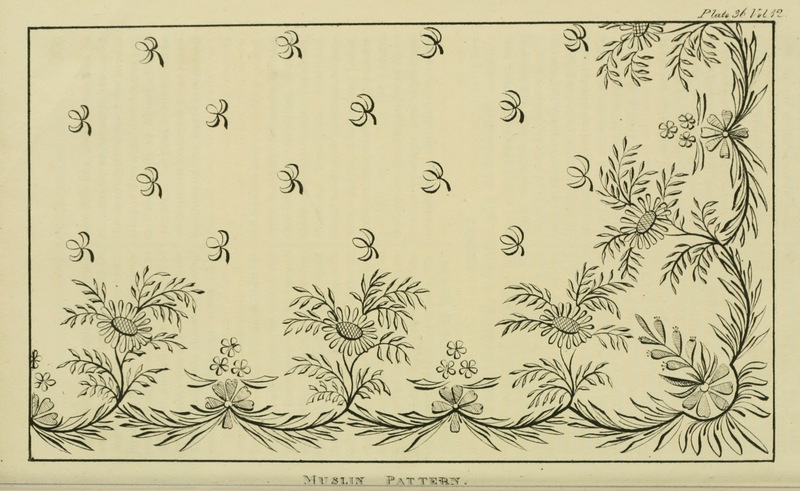 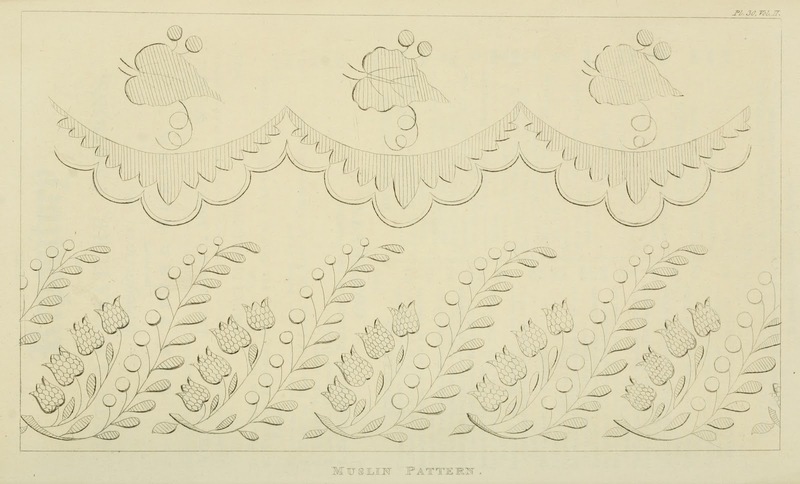 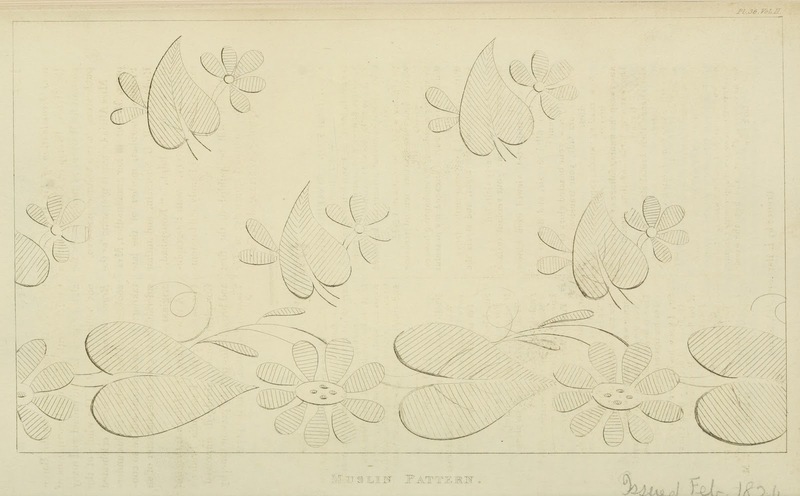 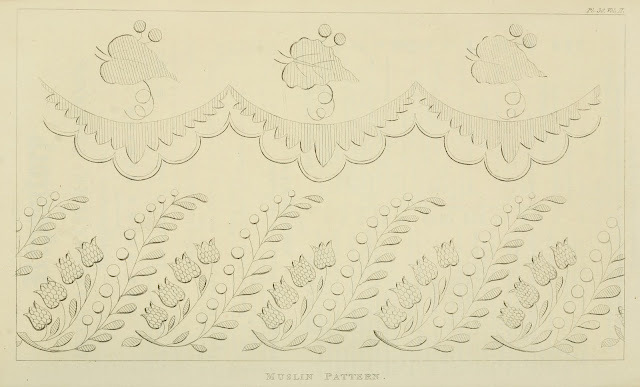 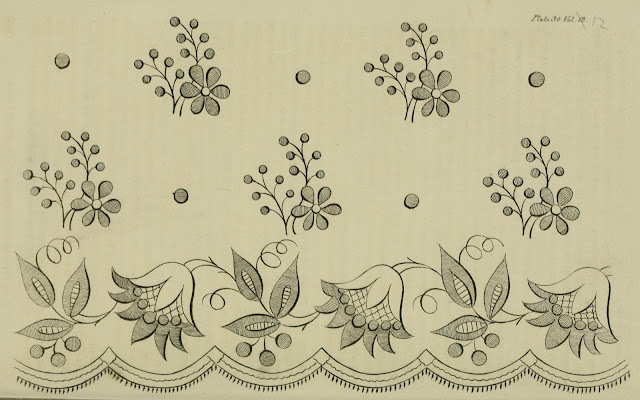 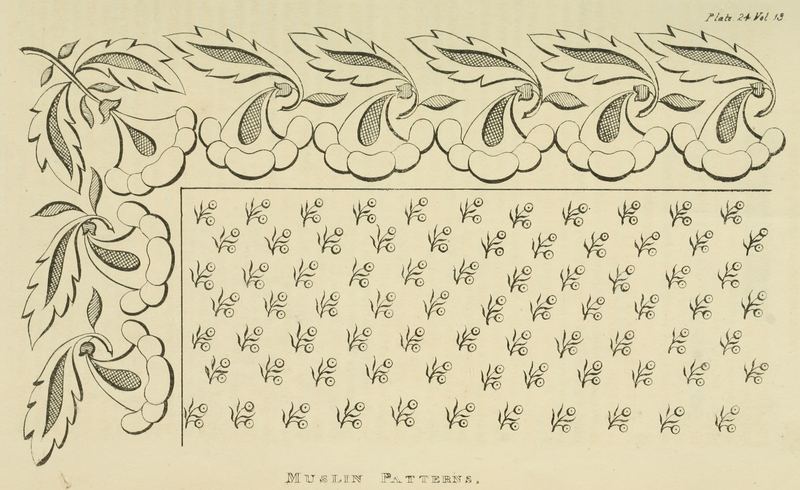 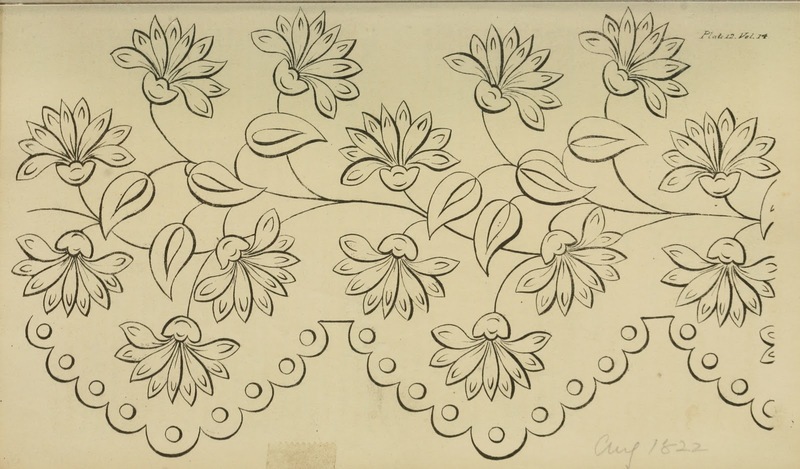 Please join me again for more Ackermann's Repository Needlework Patterns.